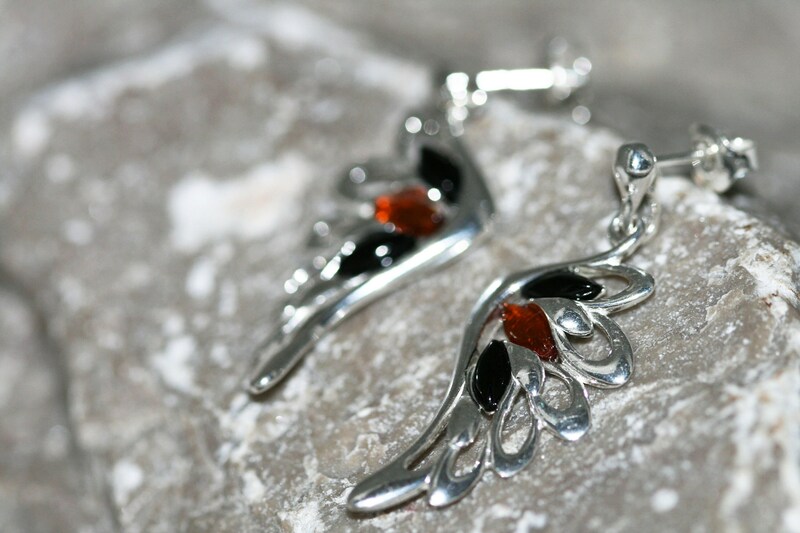 Angel Wing Whitby Jet and Amber earrings. 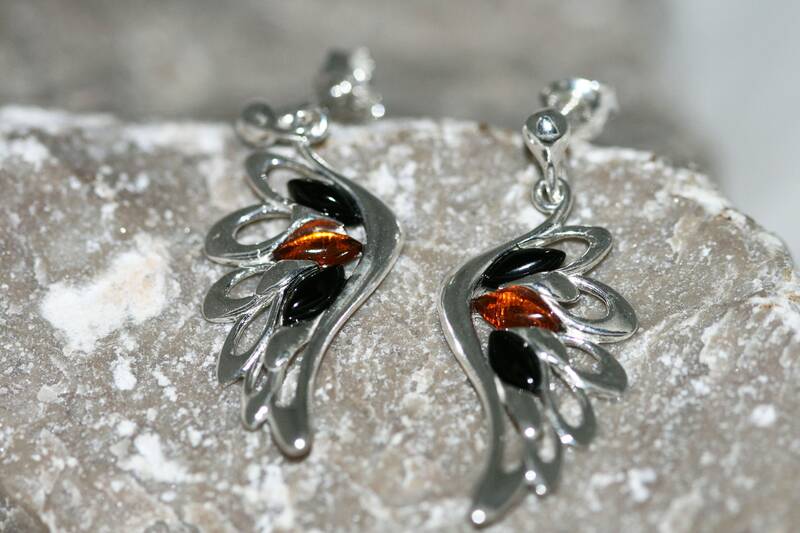 Sterling Silver Earrings, British jewellery. Contemporary jewelry. Genuine Whitby Jet. 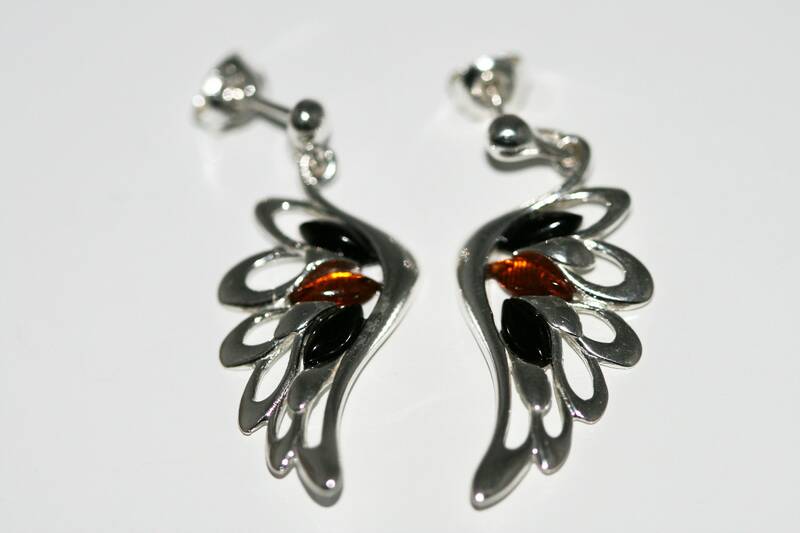 We are happy to present Whitby Jet and cognac type of amber fitted in elegant and different setting - Angel's wing design. Transparent piece of amber eye shaped. 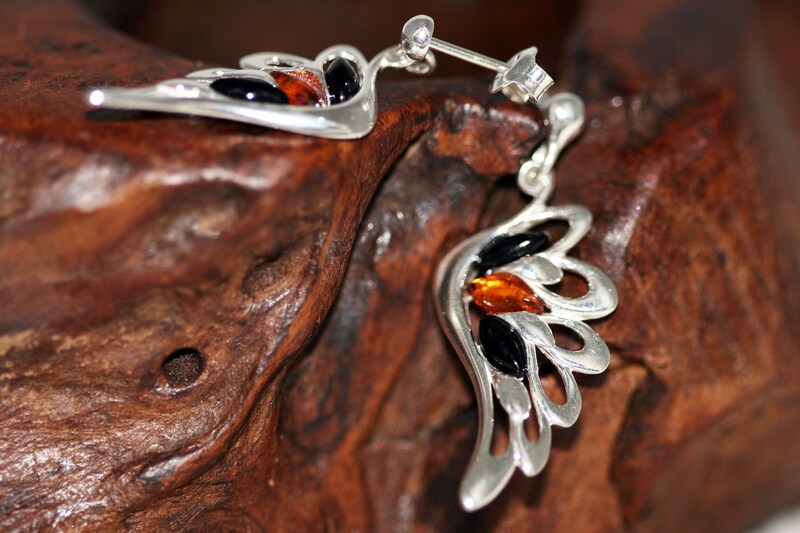 This elegant and unusual earrings is perfect for everyone. Size of the design: 14mm wide and 35mm long which is 1/2 inch wide and 1 and 3/8 inch long.